A cold front will pass through the region today, resulting in cooler conditions. 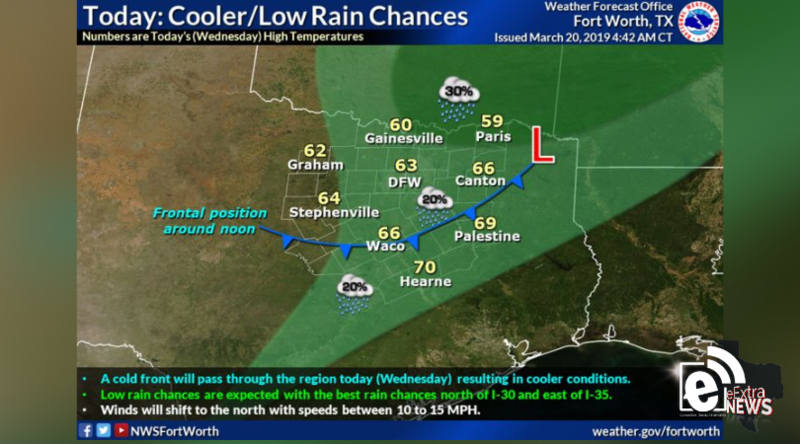 There will be low rain chances with the best possibility for rain north of I-30 and east of I-35. Winds will shift to the north with speeds between 10 and 15 MPH. Cooler air will spread over the area tonight and lows are expected to range between the upper 30s to mid-40s. Skies will slowly clear from north to south. 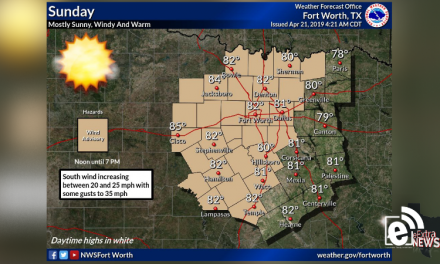 North winds of 10 to 15 MPH will diminish quickly after sunset. NextTonight is the last supermoon of the year || Watch live from Rome at 11:45 a.m.